But what I didn't realize was just quite how very NAPA VALLEY my child would become. So, here you have it, four ways I know I'm raising a child in wine country. Some of his favorite toys are corks (used) and bottle caps (clean and leftover from our home brewing session...of course). He builds towers, creates outlines of tractors, and even told us one morning that the bottle caps were pancakes. He refers to Pizzeria Tra Vigne as the "Train Pizza Place," and stuffs his face full of spaghetti while anxiously awaiting the passage of the wine train. He asks to drive around certain parts of town at certain times of the day so that he can see the train elsewhere. Yep, he follows the wine train schedule. The boy knows about Bouchon's scones and will request them - he will get up in the morning and ask for coffee and a scone. Granted, coffee is simply steamed milk, but if I take him to Peet's and buy a scone, he turns his nose up and says, "Where's the other scone?" 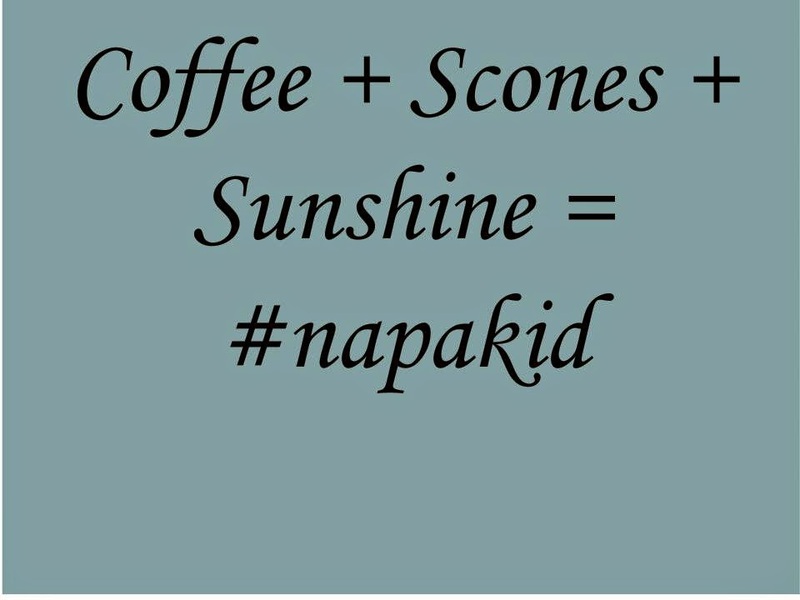 If you see a toddler sipping on a "coffee," munching on a scone, and juggling some corks, yep, you've spotted a #napakid.